The first giveaway is for: A huge Stash of Fabric Remnants from different craft projects - but still plenty big to work with - over 35 different fabric patterns/pieces. Included are some fabrics by: Moda, Heidi Grace, Alexander Henry, Donna Wilder, Joel Dewberry, Michael Miller and Debbie Mumm... and also a bunch of generic scraps. Some fabrics have been prewashed and dried, some have not. The second giveaway is for: 2 Paper Scrap Packs. One scrap pack is all new scrap pieces of scrapbooking paper (over 50 pieces) - these pieces are acid and lignin free. The second scrap pack is of found papers - new and vintage papers (over 25 pieces). These cute paper scrap packs contain papers in various styles and sizes collected over the years from art supply stores, antique stores, consignment shops and more. These scrap packs are chocked full of new papers like scrapbooking papers, calendar and notes pages, as well as vintage papers including maps, advertisements, flash cards, playing cards, ledger paper and school books. Perfect for journaling, scrapbooking, and cardmaking. To increase your chances of winning: Blog about these giveaways with a link to this post (feel free to use the picture from this post), put it on Facebook, MySpace, Twitter, or however else you can get the word out! You can then leave a comment for each time you have posted somewhere online about these giveaways.So, say you leave a comment, then blog about it, then put a link of Facebook and MySpace, you would have FOUR (!!) chances to win! Congrats on the 200th post! That fabric looks so nice! wow ! the fabric scraps look wonderful !! i play and hope i could win !!! Congrats on your 200th post! I LOVE fabric scraps! I am drooling over the fabric remnants, as I plan a crazy quilt wall hanging project for my stepdaughter. Off to promote this contest. Will be back with comments! Waw! Just discovered your blog yesterday. So with your 200 post, there 's a lot of work to check them all :). Wow, that's a very generous giveaway.Congratulations on the 200th post. I like the scrap papers. Fantastic giveaway! And 200 posts, wow, congratulations! Your blog is so nice, thanks for keeping it :) I find it really inspiring. Fingers crossed, I hope I'll win, those fabrics look gorgeous. 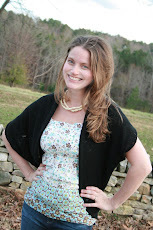 I'd love to enter the fabric scraps giveaway! yummy! Congrats on the 200th post! I would love to win the scrap paper pack. Ooh! is it too bad that i can't choose????? thing is i'm from argentina, can i still participate on the giveaway???? Congrats on the 200th post!! Oh, how fun. The fabric looks so pretty and I have a scrap buster quilt I have been wanting to do that these would be so perfect for. congrats on the 200th post. Love the fabric!! I found you off of hte U Create blog and boy am I glad I did! Fantastic blog! I'm torn between the fabric and the paper. I'm into all crafts. I think I'll go for t he paper! Congrats on the 200th post! 200 wow! I love those fabric scraps! I want to win the fabric! Oh man, the stamp quilts that could be made with the remnants! Thanks for sharing and congratulations! I'd be SUPER excited to win the fabric. And I facebooked you too! I guarantee a ton of my friends will be headed your way! We are a bunch of crafty girls!!! I would love the fabric!!! Congrats on your 200th post! I love your blog! ***I like the fabric stash giveaway...such cute patterns*** Love it! Wow, what an awesome pair of gifts!! I would LOVE to win the fabric scrap one. I am drooling at the thought of all the great projects I could make with them. Thank you for doing this giveaway! Congrats on the 200th post, how exciting!! Congrats on your 200th post and a great blog! =) The fabric scraps look so pretty. Awesome giveaway! I'd love to win the fabric stash. How wonderful for you that you have reached 200 posts. I love your blog and have it under my favorites. 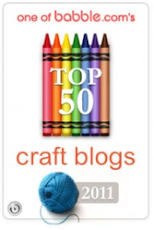 I do not have a blog, I am just a common crafter who is inspired by all of you wonderful creative people. The fabric looks so delightful! I just found you...love your blog! Congrats on your 200 post. Great giveaways...so hard for me to pick...I sew a ton and scrapbook too! I think the paper, since I don't have a ton of fun paper right now...but I have a ton of fabric scraps! Great job on 200 posts...still working on my first 50 :) Love fabric! I'd love to win the fabric pack! I would absolutely Love to make a blanket for my little girl! Yea for fabric! Your blog is amazing! Thanks for sharing! I just found your blog, I can't wait to have a read through your old posts. The fabric scraps look like they could be fun. Congrats on your 200th post! I am new to your blog and I am so excited to look around and become a follower! I would love the fabric! Ooh! LOVE the fabrics! That's what I'm hoping for!! I already know what I want to make with the fabric scraps - a ruffly apron and a fabric bowl!!! Fingers crossed!!! l would love the fabrics! I would love to be entered for the fabric scraps. congratulations on the 200th post - i am new to your blog but happy to have found it!! i am new to sewing and would love the fabric stas to play with. Congrats! I always love fabric scraps! ohh Ive just surfed over via teh notebooks! very glad to have found your blog!! Congrats on 200 posts that is huge!! Id love to get a chance to get my hands on that paper! Ooooh, wow. Both giveaways look spectacular! I could definitely put either to great use! I particularly love the fabric scraps! Especially since I am preparing to make my daughter a quilt! w00t! 200 posts is an awesome milestone. I can only imagine what I can do with fabric..hmm..
Congratulations on 200 posts! I just start blogging a few months ago so I'm no where near 200 ...yet! I would be very happy to win either of these prizes but I guess I would prefer the paper prize. Thank you! I just tweeted about it too! I would love the paper pads - they look totally yummy! And a HUGE congrats on 200 posts! Wow! Fantastic giveaway! I'd love to win the fabric. Count me in! Congrats on your 200th post!!! I LOVE the fabric!!! Such cute prints! I'd love those fabric scraps! Well done on the 200th post. I've just tweeted about your lovely giveaway too! What a fantastic giveaway, I would love to win giveaway one (the Fabric), I am sitting dreaming about all the wonderful things I could do with it. Congratuations! It's paper for me! I love the fabric scraps. I live in the middle of Arkansas and don't get my hands on fun fabric very often. Love your blog! Would love the fabric scraps! Goodness! Congrats on your 200th post...what a great accomplishment! I just found your blog from U Create and have bookmarked you. :D I love both paper and fabric, so I'll take either if I win. Congratulations on the 200th post. I like fabric stash. it would be great to win it! Congrats on 200. I just found your website and I love it. The fabric looks really cool. P.S I live in the UK. I would be game for winning EITHER prize pack! Really... how can a girl choose?! Followed a friend's Facebook post here. I'd love to win the fabric stash! O my what a giving lady you are...all those fabrics would love to have a home with me! Congrats on the 200 posts, I would love the fabric pack, thanks for the chance to win. Hello! Congratulations on 200 posts! I'm a brazilian fan and I'd love to win these fabrics, so cute! Thanks! This blog is great! What a cool idea. I heard about it from a friend and now am really excited to look at your blog. I love crafting. The FABRIC! Oh, more scraps... I love love love me some scraps! I would love to win the fabric scraps. I can imagine so many things to do with them. Wow! Congratulations on your 200th post! I'd love the chance of winning your fabric scrap giveaway. Congrats on 200 posts-I am drooling over that fabric pile! congrats on 200 posts! just found your blog last month and i've been enjoying it and reading the backlogs. i would def love a chance at those paper scrap packs! keep up the excellent blogging! would just love to win the fabric!!!! thanks for doing this! I just got a sewing machine so the fabric would be amazing to win!! The Curious Pug sent me. What a great place! I'm now headed to your Etsy store. Bye. Wish me luck! Love your great ideas. Congrats on your 200th. I definitely look to your ideas once I win the fabric! I am a fabric-Holic and while in recovery I am not buying...but winning.. I can do that! Just found your blog through uCreate. Looks like a new favorite! I would love to enter your fabric give-away. Thanks! It is so wonderful of you to giveaway such great stuff! I would love a shot at the fabric scraps! I'd love to have a shot at winning the 2 Paper Scrap Packs! :) Congrats on the 200th post!! Thoes fabric scraps would come in handy with all my crafts. Congrats on your 200th post! Wow... 200 posts. Way to go. I love both of the giveaways, so it's hard to decide which I'd want. I think I'd love a chance to win the paper. Hi! Congrats on your 200th post! I think the fabric is a nice giveaway! Thanks for a chance to win! Lovely giveaway. The fabrics look great. Just found your blog, and I love it! I am a scrapbooking girl, so count me in on that giveaway. Thanks! I'd love to win the paper scrap packs as I am addicted to paper. stacy (dot) wamble (at) gmail (dot) com. you know, just in case i actually win. Congrats on your 200 posts! 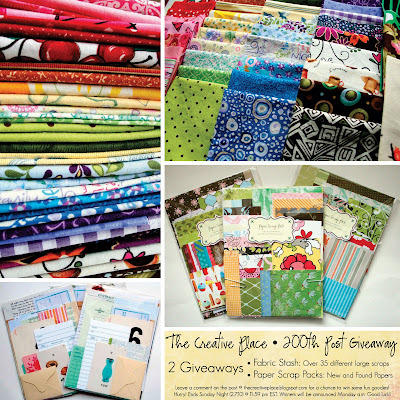 I would love to win all of those awesome fabric scraps! So colorful! What an awesome giveaway! I would love to win the fabric scraps! LOVE! LOVE! LOVE! The fabric! I have so many ideas. Congrats on your 200 posts. I have a feeling you will be one of my favorite blogs. Gorgeous, gorgeous fabrics! Congrats to you and thanks for the chance! I would LOVE to have the fabric. So many things that could be done with it! The world will now know... at least through my blog. If I tweeted, facebooked or anything else I would. For now, Bill Murray is definitely calling for that Paper Pack, Fabric be gone! Oh, My! I am loving the fabric. I hope I win. I love the fabric. Too cute. I put you up on my blog. Still love the fabric. Also I posted on Facebook. Fabric please. I am obsessed with great fabric. Love your blog. Ooh! Put me down for the fabric prize! pick me pick me! Happy birthpost !! Well let's take a chance ! Herzlichen Glückwunsch zum 200. post! Ich verfolge deinen blog regelmäßig! Congratultions from Germany! Wow! that's a wonderful giveaway! Wow, lots of lovely comments for you to read through. Love your blog. I've written about it on my blog. I love gorgeous fabrics and if I were to win your fabulous stash the first thing I'd make with it would be my new Laverne doll for my next giveaway. Congrats on 200 posts! Thank you for the giveaway!! They are both gorgeous, but I'll pick the paper scraps! Thanks! I just posted about your giveaway on my Facebook page. I'm not sure how to link that here though! I'd love the fabric stash, as I'm just getting started out sewing!!! Congratulations on 200 posts! At the rate I am going I will reach that in about 45 years! Yessss A giveaway! I'd love to win the fabric stash. You can never have too much fabric! congrats on the big milestone i would Love the scrapcooking paper i just had another baby and now i have to get moving on his scrapbook. i love doing these for the kids for memories!! I love the fabric scraps- so pretty! What a great way to celebrate your milestone! I'd love to win your fabric scraps! I would love to win the fabric!!! I have so many projects I could use that for!!! Congratulations on 200 posts. I realy love those fabric scraps! What a fun giveaway! I am always looking for ways to add to my fabric stash! Well, oof to add you to me FB now! Also linked you on my FB. Thanks again! I'm all about the fabric! It's my new obsession! Now if I could just figure out how to thread the needle on my sewing machine, I'd be set! Fabric for me too. What is it about somebody *else's* scraps that is so appealing?? WOW! Tough decision! But I pick fabric this this time. I make lap quilts and hats for chemo patients. PLus my MIL always says never turn down free material! Happy 200th! I am a fan of the fabric. Just posted it on facebook. I love your blog :) and I would LOVE to win the fabric. Congratulations on your 200th post! Both prizes look great. I would love to win the paper prize as I'm making a lot of cards at the moment! Congrats! Keep up the wonderful job. awesomeness! the paper scrap packs look so nice! Ooooo ... fabric. The colors of that pile are amazing. Just lovely! There's no such thing as 'too much fabric'! Thanks for the chance. Congratulations, I'm a fabric girl. please include me. couldn't find your twitter link though :-( so couldn't mention you by name. Ashley - congratulations on 200 posts! :-) Love your blog - it is one of the few sites that I visit every day! Would love the paper scraps! I just posted it on my Facebook page. :-) Congrats again! Love finding inspiration on your page. Thanks. The fabric scraps look great! I love the fabric and the paper. What an awesome win this would be. Congratulations on the 200 comments! I only recently discovered your blog through a friend of mine and I love all the ideas! The fabric looks fantastic! i forgot to say (thus the deletion of the 200th comment which stinks, sorry) that i like the fabric.